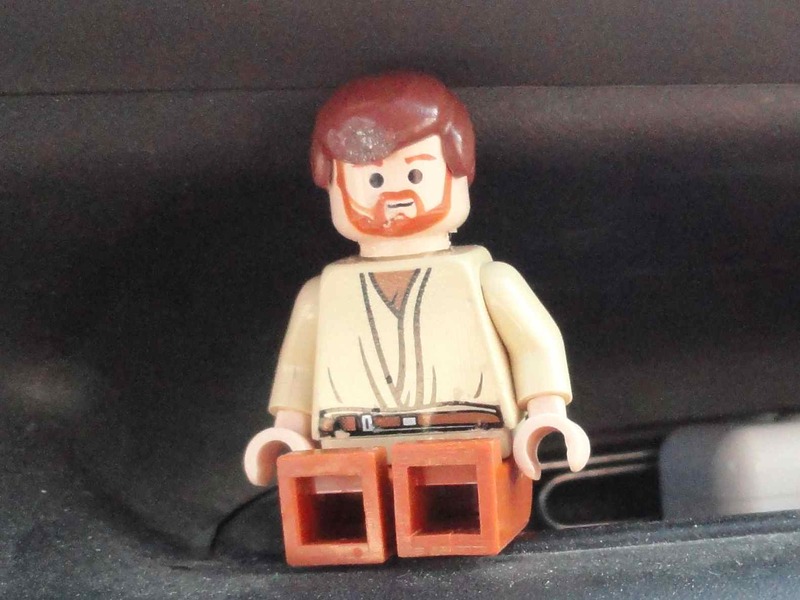 So, you may remember that I have a traveling companion…ObiWan from the gas station parking lot. He looked so forlorn on the ground next to the pumps, I had to show him some love. I think someone even ran over him by the scuff on his head! (btw yes, my son had to tell me who he was) And yes, he is still keeping me company, as a kept man should, on my daily commute. But once I get to work…I have a new man in my life. Today, I became involved with Edward. But Edward is my man now for 8 hours a day. Now don’t get even sillier thinking I talk to him or anything. He leers at me broodingly and sparkles, but we don’t chat. 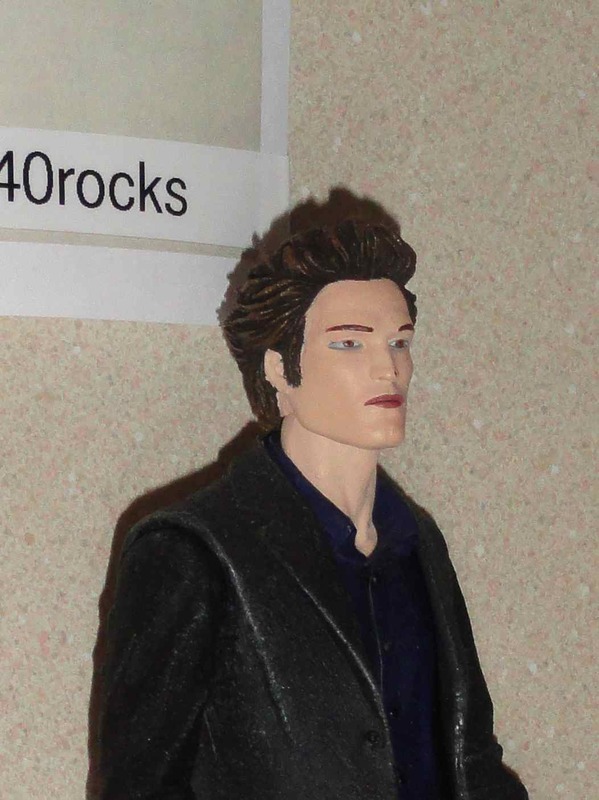 I’m not really a trinket-toting-kinda-girl…but having Edward in my life spoke to me somehow. I’m an accounting geek…I keep a clean desk, a paper weight, a couple pictures of my kid, my mantra (make today ridiculously amazing, you had any doubts?) and plants. The back-story on Edward is not really that complex. Ever watch the old Drew Carey Show? Mimi and her troll dolls? Yeah, we had that kinda-girl where I work. 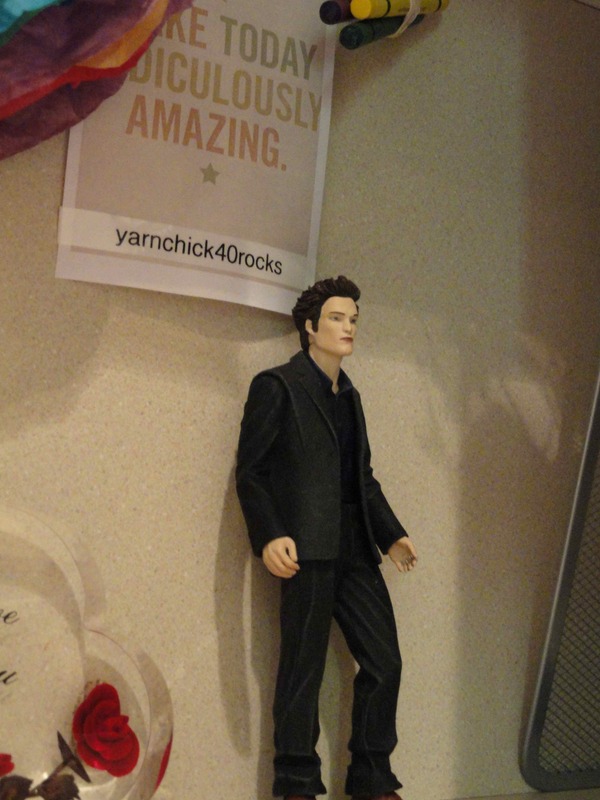 She left some of her menagerie behind when she quit and the guys have decorated the office with the cast-offs. Oh, and our Mimi hated me, but then I think she kinda hated everyone. So today when I posed my obligatory questions, I was asked to get the blankety-blank-blank thing the blank away from him cuz it was really blanking creeping him out already. Yeah, don’t have to ask me twice. I know he wants me. We don’t have to say a word.